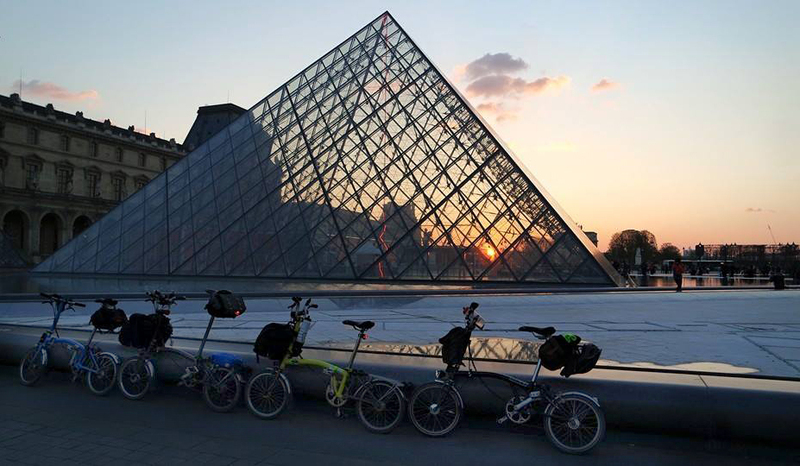 Over the Easter weekend I cycled with three friends to Paris. 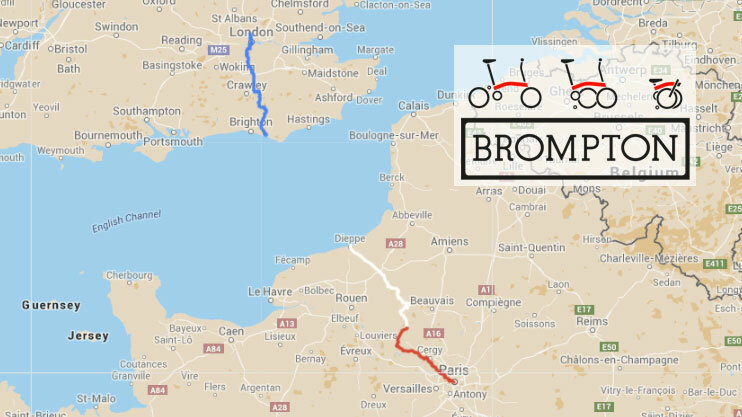 We left Trafalgar Square on Friday morning and arrived at the Eiffel Tower on Sunday evening, having covered 353 km (219 miles) on our Brompton folding bicycles. Our route followed a lot of established ‘Avenue Verte’ cycling paths, and incorporated variations which enabled us to complete our trip at a comfortable pace in the time we had available. Long distances, hills, and two days of bad weather, combined with lack-of-sleep kept this ride challenging. On the third day we saw the flip-side of the coin, when, after we’d had a good night’s rest, the sun was out to spur us on. Arriving at our destination was hugely satisfying because we knew we’d achieved something special. We’d tasted adventure and had fun doing it. We had big grins and champagne to celebrate the moment, and have memories to enjoy for a long time to come.